I’m not sure whether it’s a simple coincidence (yes, despite being a yoga teacher and believing that most things happen for a reason I also think some stuff is still out of pure chance every once in a while) or sparked by the fact that I’ve spent most of my professional life in or talking about snow, but the two shootings I’ve so far done for my new profession as a yoga teacher have both been in the snow as well (the first one was shooting a yoga sequence to prepare for wintersports in a little forest close to Munich on the first day of snow that winter). And while that’s maybe not the typical set up one pictures for yoga, it fits me oh so well. I love the mountains, always have and always will. 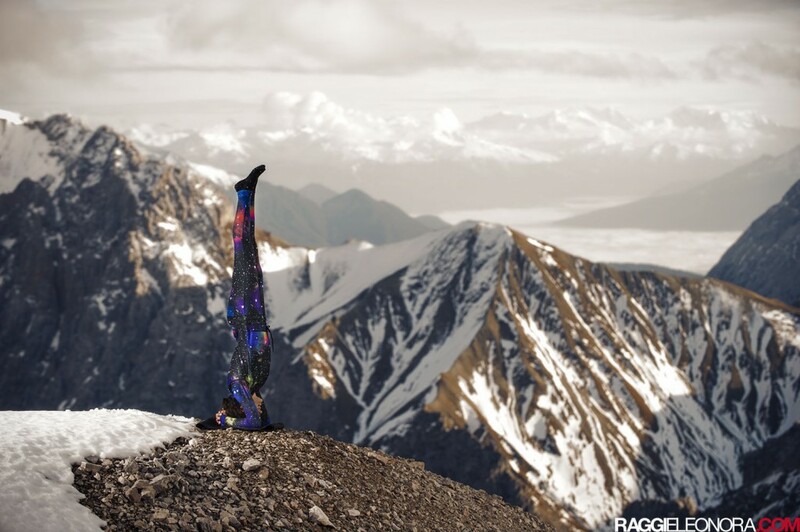 And living in the Alps half of my time, there’s little I enjoy more than practicing yoga with a view onto a huge pile of rocks, preferably covered in snow. 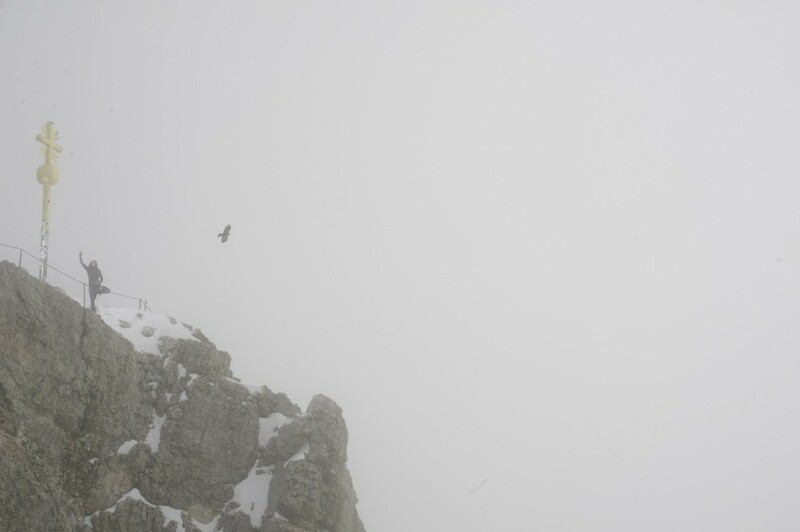 So when my friend and seasoned (snowboard) photographer Eleonora Raggi asked me to be the subject for an outdoor shoot in the mountains with her sponsor F-Stop Gear to promote the first ever female-specific photo backpack, I obviously didn’t think twice and went up on the Zugspitze, Germany’s highest mountain, with them. And we did still get our money shot (and a bunch of other absolutely beautiful pics that will be shared bit by bit) when we went further down onto the Zugspitz Platt and into the Weiße Tal, where I normally love to ride powder and jump cornices or rollers. Which is a lot more fitting than trying to get your legs overhead, as I realized on my first attempts for Pincha Mayurasana, a forearm balance that is among my new favourite poses. Gravity is a lot heavier on almost 3000 meters than it is on more normal sea level grounds, at least it seemed like that to me. With legs heavy as leads, I went for Sirsasana (headstand) instead and gave myself a little lesson in the yogic concept of Santosha, which means contentment and satisfaction with what its (as opposed to always wanting more, bigger, better, higher). Schlagwörter: bavaria, mountains, photo, photography, photoshoot, review, tips und yoga.